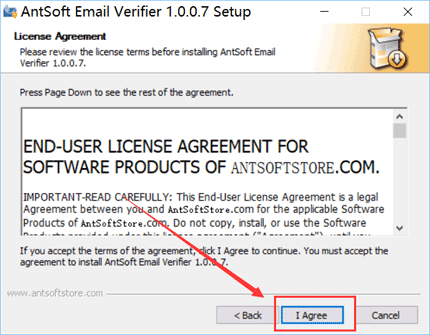 How to download and install the AntSoft products on your PC? The best and the safest way to download and install our software is to do it via our official website https://www.antsoftstore.com. 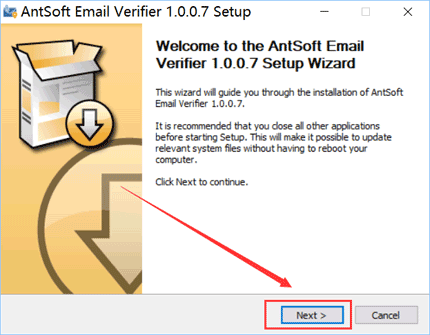 Below we'll describe how to do it, taking AntSoft Email Verifier as an example. 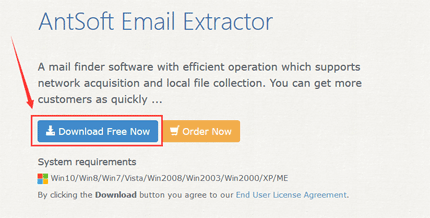 Please bear in mind that the same procedure can be performed to download any AntSoft product. Open our website https://www.antsoftstore.com, go to Software page and select a product you need from the list. In our case it will be AntSoft Email Verifier. Left-click the Download button. 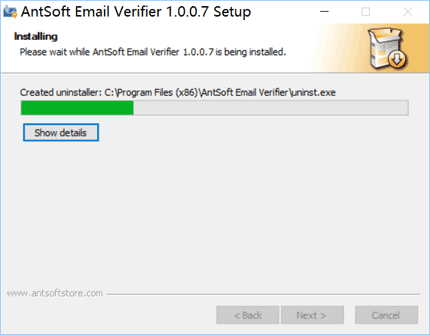 Select Save in the opened window to save the antsoft-email-verifier.exe file to your computer, or select Run to launch the installation process from the website directly. After you press the Save button, a new window will be opened where you'll be offered to select a directory to which you would like to save the installation .exe file. Select any you like and press OK. Wait till the download is completed. 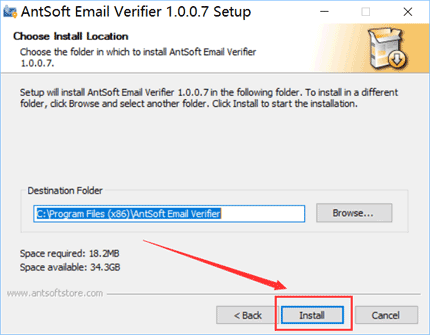 1.Find the antsoft-email-verifier.exe file you have just downloaded (it will be located in the directory specified at Step 1) and left-click it to start the installation process. 2.In the new window press Next to pass over to the next step. 3.Read through the Licence Agreement page and, if you agree with the terms of the agreement, tick the I accept the agreement option and press Next to proceed with the installation. 4.Select the directory to which you'd like to install the program. The default location is Local Disc C:\Program Files (x86)\AntSoft Email Verifier. After you have specified the directory, press Next to continue. 5.Click Next to go on with the installation,Wait till the software is installed. 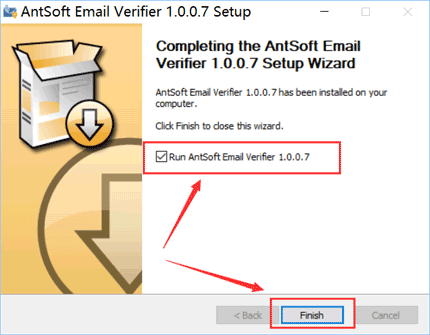 6.Next uncheck the Launch AntSoft Email Verifier option if you do not wish to start the program right now and click Finish. That's all. 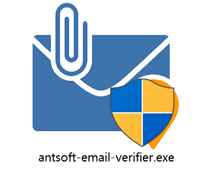 Now, follow Start >> All Programs >> AntSoft Email Verifier to launch the software. You can also access the program by clicking on its desktop ico.